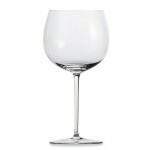 Riedel Sommeliers Montrachet 1 Stem (P/N 4400/07). A crisp White Burgundy is one of summer's greatest joys-the complex smoky, toasty, buttery, nutty and mineral elements blending with the smell of sunshine and freshly cut grass. Savor the combination with a glass from the Riedel Sommeliers line. 7-7/8" tall, with a moderate capacity of 17.6 oz. for an average serving size of just under 6 oz. Handcrafted from mouth-blown leaded crystal for unsurpassed clarity. 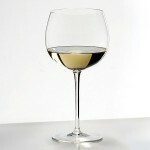 Sommeliers glasses are the highest quality made by Riedel, and the only one crafted from mouth-blown leaded crystal.